Hello and thank you for stopping by to learn about us! My name is Lori, mom to 4 wonderful brats, twins Lauren and Megan and my younger two Louis and Olivia. 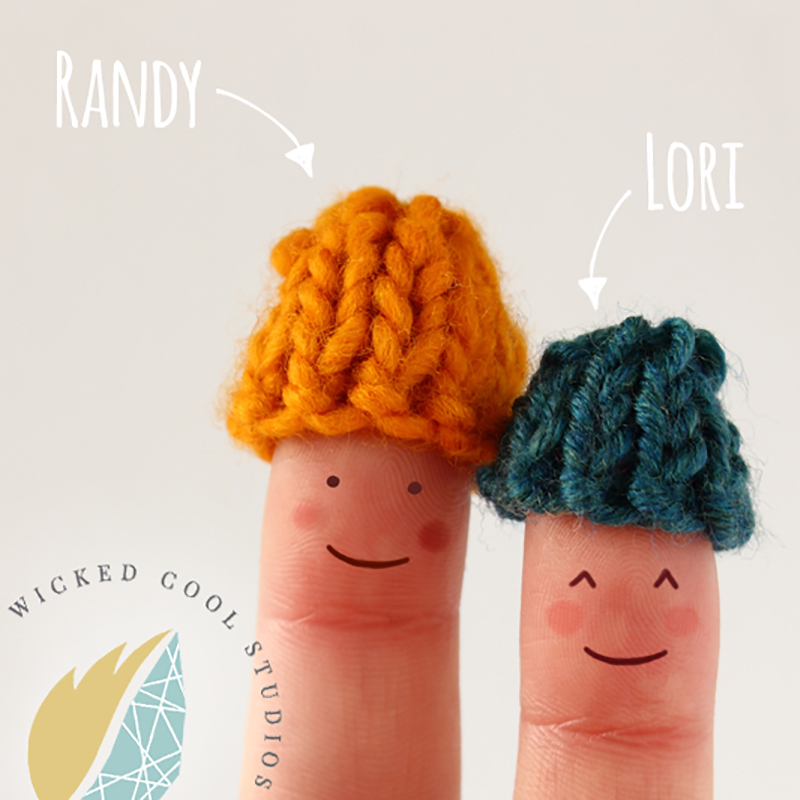 I am the main face of Wicked Cool Studios and I’m the one you will be talking to most of the time. I am also the proud wife to my best friend and business partner Randy. Founded in 2004, we started WCS with the hopes of bringing other creatives the design and feel they want for their new (and maybe in need of a revamp) projects. If you want real custom design and artwork and real experience, you have come to the right place, because we make WICKED designs from your COOL ideas. My interest in graphic design started when I was pregnant with my 3rd child, Louis, in 2002. When I was placed on bed rest early in my pregnancy I quickly became restless and quite a bear to deal with. After feeling like I had read every book on the planet and had nothing else to do, (and was very vocal about it) Randy came home one day with an old mac laptop and installed all his design software on it and told me to have fun. I looked at him like he was crazy, but with a LOT of scepticism of why I was even doing this, tutoring from my wonderful husband, every tutorial on the world wide web (or so it felt like), I became proficient in programs such as Adobe Photoshop™, Adobe Illustrator™ & Adobe Dreamweaver™. And guess what? I loved it. Now I’ve added Adobe InDesign™ to my list as the design world is ever growing. Randy worked for 2 yrs. to receive his Associate of Applied Science in Graphic Technology and his Associate in Fine Arts, plus another 2 years to receive his Bachelor in Liberal Arts. He brings his art to us through several mediums from painting, watercolor, pencil/inks drawings to a complete computer rendering of just about anything imaginable. Randy is proficient in programs such as Adobe Photoshop™, Adobe Illustrator™, QuarkXpress™, Adobe InDesign™ and Macromedia Fontographer™.